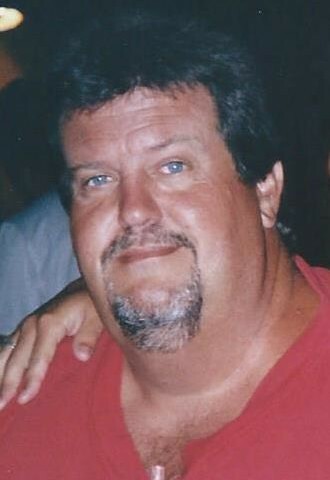 Clifton Hugh Overbey, Jr., Age 52 of Hendersonville passed away Friday, March 28, 2014, unexpectedly. He was a kind hearted, intelligent, genuine man who was full of life and leaves behind many loved ones with great memories. After graduating from Hendersonville High School in 1979, Cliff was hired by Billy and Eddie Messer who became dear friends. He worked for Billy and Eddie at Medical Associates for about ten years during which time he met Pam, the love of his life. He then went to work at Rock Harbor Marina as the service manager for four years. Afterwards he started his own personal watercraft and ATV repair business in the basement of his home which grew tremendously and required "The Shop," Midtown Power Sports. Cliff was all about family and being involved in the activities of his children which were a very big part of his life. He made many friends and touched many lives, while enjoying these activities with his children. He will be deeply missed by all who knew him. Preceded in death by his father, Clifton Hugh Overbey, Sr. (Sonny). Cliff will be missed by his loving wife, Pam Hunley Overbey; mother, Frances Cone; stepfather and mentor, Charlie White; brothers, Ed and Todd; son, Chase (Cynthia); daughter, Brooke; grandson, Colton; granddaughter, Riley; numerous other relatives and close friends. Just found out about the passing of Cliff. So sad to hear this. Pam and Brook you both are in our prayers!!! Cliff was always such a sweet man!! I remember him at the softball field with the girls and they just loved him!! He will be greatly missed. God bless your family. Pam and Brooke, I was so sorry to hear the news of Cliff’s passing. There are no words to end your pain now, just pray. Know if you need to talk to anyone or just scream I’m here and Miles would be more than Happy to talk with Brooke. Cliff was such a sweet man, he will be missed by many and especially you. Hospice has a great grief group that used to meet at the Gallatin Hospital. Know you all are in my thoughts and prayers. Mid Town court just won’t be the same. Cliff I did not know you very long but you were about the nicest guy I ever met. You worked on myJjet Skies and they never run better. You were alway so helpful and kind. I will miss you. My prayers go out to your family in this time of heartache.